March proved that missed tackles are good for world rugby. This may seem like an odd thing to say, but elite rugby needs to readdress the way in which we view missed tackles. Test rugby’s pursuit of perfection has resulted in a situation where not losing has become the goal, as opposed to winning. This fear-based approach has resulted in modern test rugby becoming the Formula 1 of ball sports, where only the result is of any interest – the bit in the middle, the race or match, is largely a sterile affair. You just need to look at the last weekend of the RBS Six Nations to realise that missed tackles shouldn’t be regarded as ugly warts, but beauty spots. The last three fixtures of the Six Nations saw all teams finish their game with a tackle completion below 87%, which is very rare. But this low tackle-completion rate shouldn’t be regarded as failure, but more of a success. Players didn’t miss tackles. They were stepped and forced to tackle on their weak shoulder, out-gassed or out-passed, and there is no shame in that. There is a big difference between tackling against simple, repetitive carries in the narrow channels when compared to a fast offload game in the wide channels. Rugby needs to stop deifying defence and instead shower praise on expansive passing, mesmerising steps and a change of pace. That’s the rugby that supporters, sponsors, and TV networks want to see. Many regard the Six Nations as untouchable. A tournament so resplendent that introducing bonus points would be tantamount to pinging the Queens’ bra strap. But the Six Nations needs to keep pace with the rest of rugby. A game that readily and openly accepts temporary and permanent law changes. A game that has adopted TMO technology, frequently experiments with law changes and a game that has recently seen the Chiefs (NZ) exploit the ruck interpretation in a beautifully anarchic way. Rugby changes every day, in every country, in every league and the Six Nations needs to keep pace. And for anyone who says that bonus points could reduce the impact of a Grand Slam, then the solution is simple: give Grand Slam winners an additional three bonus points. It’s worth a try, if it doesn’t work, change it back. Simple really. Dan Biggar had a magnificent Six Nations. His almost Wilkinson-esque defence of the ten channel, highly accurate kicking game, spectacular aerial work, and immaculate distribution was rewarded with inclusion in the shortlist for Six Nations player of the tournament. 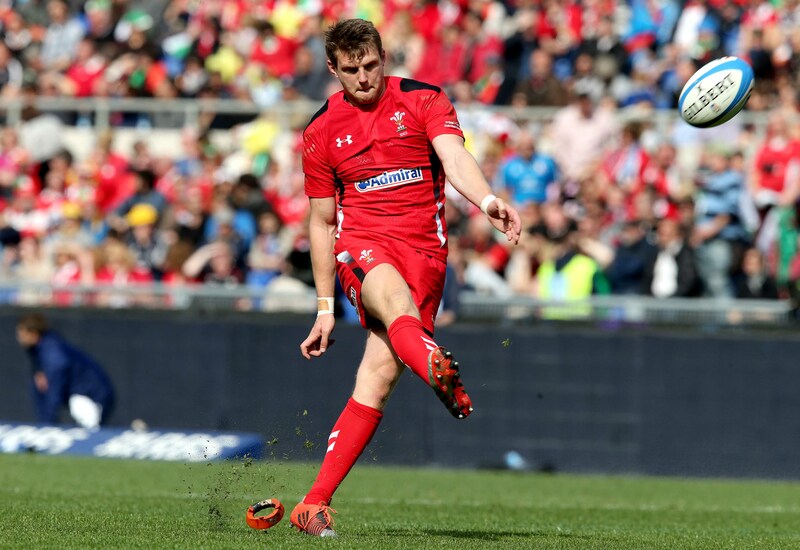 Biggar’s achievements at Test level shouldn’t be underestimated. He hasn’t been afforded a simple path into Test rugby. Thr lad has been forced to do it the hard way. There was a time, in Wales, when Biggar had a popularity rating equal to Margret Thatcher. He found himself in a septic bubble of negative opinion from the media, Welsh supporters, and at one stage was even booed by a minority of Ospreys supporters at an Ospreys kit launch. But no longer. Biggar finally has the reputation and the shirt that he deserves. It’s seems almost churlish to suggest that his praise has been gained purely in the month of March 2015, when in reality his reputation has been forged over a 24 month period of elite performance. And remember he is still only 25. Double hat tip for Dan Biggar. Scratch that, a triple hat tip. Last week I watched a documentary about cannibalism and it’s near eradication in the modern world. However, there are two pieces of evidence that disprove this notion. Firstly, the dubious burger that I was served last week in what shall remain an unnamed Cardiff restaurant. Secondly, the northern hemisphere’s rugby calendar. March once again saw accusations that Test rugby eats away at club/regional squads and prevents them from being competitive at key points during the season. And that accusation is entirely correct. The reality is that the northern hemisphere season prevents either its club or Test game functioning at the level that it should. The northern hemisphere season is currently laid out like a ‘Pound Shop’ – stuff everywhere, in no particular order and with scant regard for the quality of the product. It doesn’t matter how much money you throw at it, or negotiate contracts and release periods, the structure up here is an amateurish shambles that blights a professional game. Can someone please sort it? It’s very easy to get carried away with rugby and its importance. Every aspect of the game, on and off the field is raked with a fine tooth comb often so fine and exacting that it would be suitable for removing the dandruff from a juvenile tarantula. 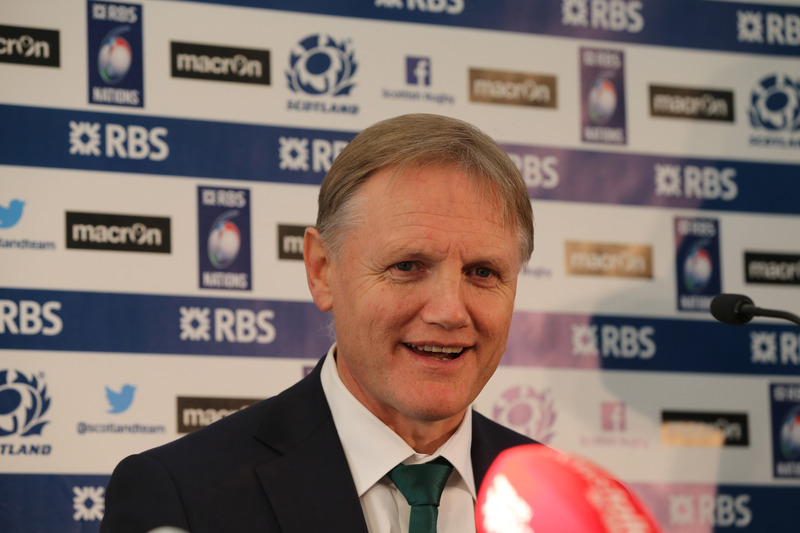 But every now and again someone gives rugby a reality check and Joe Schmidt certainly did that during March. Having won the 2015 Six Nations Championship everyone wanted to know where Ireland would go next. Can they improve? Are the centres an issue of concern? Can Ireland really win the World Cup?And then Schmidt delivered words with the same, if not more, impact than Courtney Lawes’ tackle on Jules Plisson. “I’ll park rugby for a while to care for my sick son,” he said. Those 12 words have more power and strength than any carry, tackle or kick can possibly deliver.